This past weekend I had one of the craziest and most surreal experiences of my life (so far, anyway). 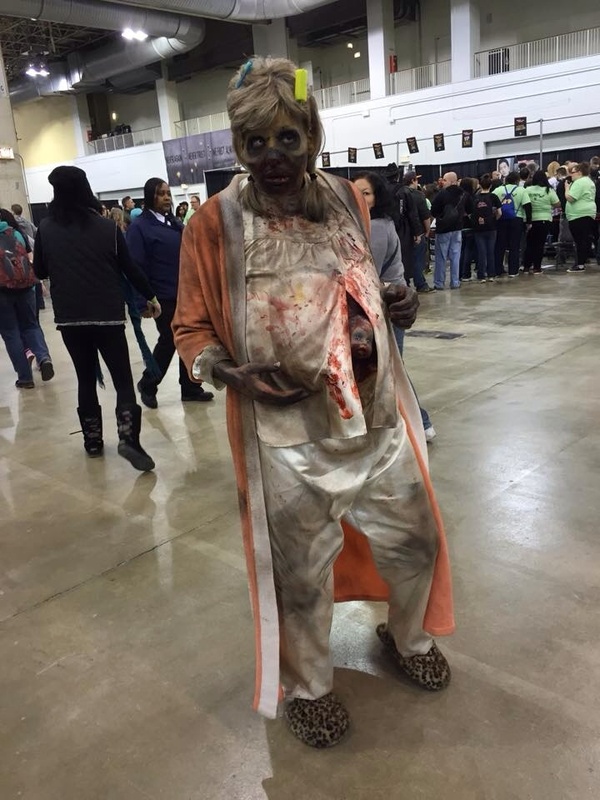 I was able to attend myfirst Walker Stalker Con ever in Chicago, mind you, the group I was with had cosplayed their favorite characters but unfortunately I did not have enough time to prep my own outfit.Still, as exciting as all of that seemed, nothing could have prepared me for the amazing whirlwind that this convention turned out to be. This glorious convention had everything a zombie fanatic could want: the crème de la crème of The Walking Dead cast members, cosplay, and of course, my personal favorite, vendors hawking their zombie wares. Jose Pablo Cantillo (Martinez) was one of the few actors who seemed to genuinely enjoy the convention. He was happy to meet his fans and had a smile on his face most of the day. He was all over the place…he even got on top of Dale’s RV with his fellow “Governor’s gang”, Travis Love, throwing out goodies and such. I don’t blame the other actors for looking dead tired by the end of the day, but Jose was still full of energy when others were starting to look fatigued. Meeting him was a true pleasure. I was surprised by how many small children attended the convention that cosplayed as well. There were a couple convincing doppelgangers of Carl which were outstanding! We got to meet most of the people dressed as zombies, but my favorite was a pregnant zombie with the baby bursting out! The highlight of my weekend was meeting Steve Yeun. I liked Glenn Rhee from the very beginning. Much like Glenn, I’m quick on the feet and feel the same compassion about the group and the idea of wanting to survive and have that faith in humanity again in their dire situation. The Walker Stalker Convention was unlike any other con I’ve attended. I think it was the zombie-centric feel that made it so special. Sorry Wizard World, Walker Stalker Con is my new favorite convention. I had a spectacular time and plan on attending next year.